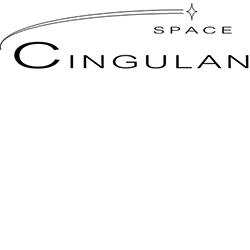 Cingulan Space is a 100% Australian Satellite Ground Segment As-A-Service company, established to provide LEO/MEO satellite operators with full service and support for their satellite mission ground segment needs. Cingulan Space provides ground segment services from our satellite tracking stations including a facility in the Canberra Region. We work to understand our Customers’ needs so we can support their mission success. Cingulan Space can service the unique requirements of security-aware Customers, with security cleared staff and experience in Defence and Government. Cingulan Space ground segment services provide Customers with secure communications with their LEO/MEO satellites, and options range from full ground segment services to hosted customer equipment and data management. Our satellite tracking earth station facilities are in optimal locations for communicating with LEO/MEO satellites, and can support satellite payload downlink as well as TT&C, a range of satellite orbits (LEO/MEO, inclined/polar) and many different frequency bands. Cingulan Space is a 100% Australian company focused on bringing ground segment service solutions to our LEO/MEO satellite Customers. We are agile, vendor-independent and work to partner with our Customers to help them achieve their satellite mission. Our deep knowledge and experience means we understand all things satellite - orbits, platforms, payloads, launch, operations, licensing and approvals - so we understand the challenges our Customers face. Cingulan Space can provide satellite tracking ground segment services to Commercial as well as Government customers.